In another bowl combine the baking powder, vanilla, salt, remaining sugar, milk, shortening, and flour. Using a spatula fold the egg whites into the batter along with the blueberries. Grease a 12 x 9 baking pan. Pour the batter into the pan.Sprinkle sugar across the top of the cake. Bake at 325 degrees for 40-50 minutes. Description: This is a delicious treat any time of day. It is perfect for breakfast, brunch, or even an afternoon tea. 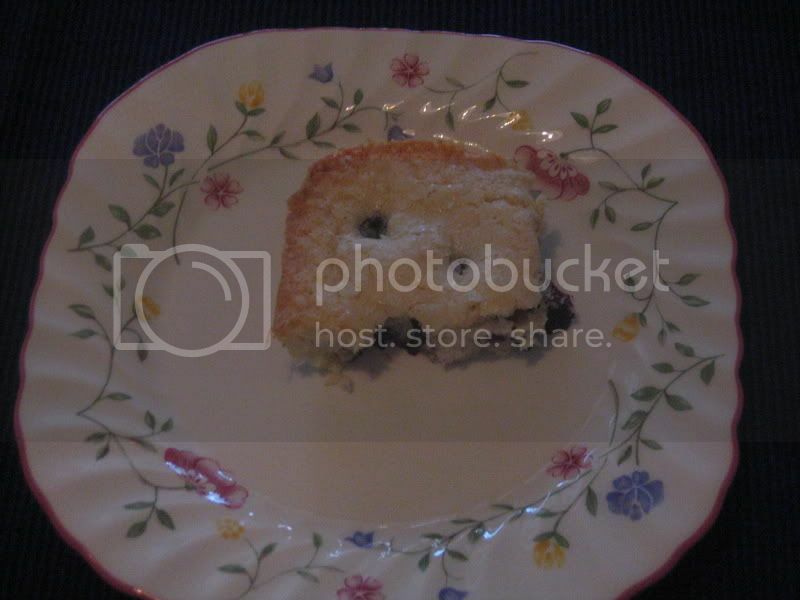 If you love blueberry muffins then you will love a slice of this blueberry cake!